It’s essential to find and hire the right iOS app developer for your company. He or she is a crucial asset of mobile app development (Philippines). Moreover, the demand for iOS applications increases as the days pass. Almost 200 billion downloads of iOS apps were on the record by the end of 2017. If the demand for iOS apps increases, it means people need more apps than before. In turn, people need developers. However, you shouldn’t get an average developer. You need a skilled, experienced, and highly trained iOS developer to join your team. To find the right person to attend to your iPhone and iPad app developments, here are some of the steps you can follow. They ensure that you end up with a strong player who has compatible skill sets that gets the job done. You must first know your reasons for needing a developer to join your team. There are several reasons why you should hire an iOS developer. For one, you need a person to oversee your iOS-related projects. Next, you must have someone to work on your company’s mobile app. It’s ironic to find a mobile app development company not have a signature app. Also, a new hire is great for your existing team. Often, these people have the experience that your team lacks. You can hire someone with enough experience to train your crew and impart knowledge. It can also be the reverse. You can get a junior app developer to help your overworked staff. He or she can handle the basic stuff, so others can focus and sort out the other tasks. All of these are valid reasons to hire a new app developer. Still, you must know what your reasons for bringing in someone new are. It helps you assess your iPhone app development project and the job requirement you prefer to include in your hiring process. Now that you know why you need an iOS app developer, it’s time for you to convene with your team. You must discuss the developments on your iPhone and iPad apps in detail. You must know the exact details for you to find the right candidate. It helps you identify which skills, experience, and level of expertise you require. At the same time, it helps you set other requirements and expectations you might have towards the applicants. There are several ways to hire your new iOS app developer. You can send your requirements to an iPhone app development company and let them find the right person to work for you. You can also hire an app developer from an iOS app development company stipulating that he or she works for you online or for a specified period. Other ways of having an iPhone and iPad app developer are by hiring one to join your in-house team and getting a freelancer. Whether you get a freelance or a brief stint with an iOS app development company is up to you. Steps 1 and 2 should help you decide on which set up is best for your company. The developments with your app will help you find out if there any iOS development requirements you must take note of when looking for an app developer. It lets you know of the specific skills and expertise a candidate must have for your app development project. Ability to handle the latest technologies such as AI, ML, AR/VR, etc. When you have all of these on lockdown, it becomes easy to spot a new iOS app developer. The next step in the iOS developer hunting process is creating a job description. You must be specific when crafting the job specification. Though the title clearly states iOS app developer, it’s still doesn’t explain what he or she does once he or she comes on board. On top of that, applicants might get the wrong impression with the job. They might mistake the opportunity for something else. If you want the right people to come to you, you must define what you are offering on the table. After you have a list of people who are suitable to take the job and become a part of your iOS app development, you can now pick which ones have the potential over those who won’t make the cut. You can do this by checking the CVs and resumes of those who applied for the position. You must check each one to avoid missing out on an iOS developer who has most, if not everything, you need. After checking their credentials and undergoing the interview, it’s time for you to select people you will put on the shortlist. These people are those that are close to your iOS app development requirements as well as job specifications you listed. Going over steps 2, 4, and 5 can help you shortlist the iPhone app developers that have an advantage over others. Your shortlist can help you find what you are looking for in an app developer. Check if there’s a pattern among your choices. The most prominent skills and characteristics are most likely what you look for in your iOS app developer. Experience, expertise, and skills should not be the only things you must look for in a candidate. You must also check their identities and their online presence. You should type their name on Google to see if they contribute to iOS communities, manages a blog, or has extra skills. Some applicants are great at documentation or have design and creative skills. Others have a background in Android development. Knowing all of this helps you gauge his or her level of expertise as well as their pay they expect from the job. You should conduct a face-to-face meeting with those who you think are the best. Having an interview is the best way to get to know them. You can ask about their past and present projects. You can also inquire about their future career plans. It is one way to tell if their values and career path in line with yours. Before the interview, you should list the questions you will ask. As much as possible, you should stick to issues related to the iOS industry. You can inquire about the latest iOS version or the features you can find with the Swift programming language. You can also ask questions regarding how he or she can improve your existing app’s performance or set notifications. It’s also best to inquire into his or her experience on creating AR experiences and how much he or she has gone through it. Most of all, you shouldn’t forget asking about app performance, quality, security, scalability, and user experience. All of these questions are essential as an iOS app developer as the job is more than coding. It’s also being passionate about building an iPhone application and seeing it come alive. To see how capable or career-oriented he or she is, you should find out if he or she is updated with what’s going on with the industry. You should ask about iOS app development trends, Swift updates, or the successful iOS apps. 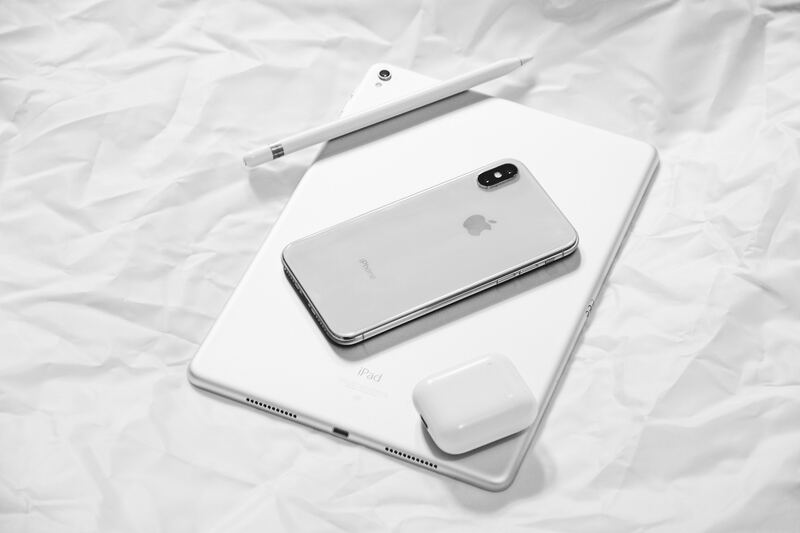 A quick chat about the latest news on iPhone and iPad app development shows if he or she is up to speed and is alert on the industry and its trends. Of course, the hiring process doesn’t stop here. You must also do your part by communicating your expectations. You might request deliverables that aren’t part of his or her duty as an iOS app developer. You must share these details, so you don’t experience misunderstandings along the way. As long as you do all of these steps, you can find an app developer that can join your team.